Researching commodities is a very broad topic, and there is no simple procedure that works for every commodity trader. Do not expect to become an expert and sift through mounds of data when researching commodities. You just want enough information to make rational trading decisions. The first thing you want to do is learn about individual commodities. You want to know where, when and how a particular commodity trades. You also want to know what news, reports, and events move the market. You can find a great summary of this information at the commodity profiles page. There are many commodity research firms that publish commodity reports daily or weekly. It can often be a great place to get more in-depth research on commodities and also get market opinions from the commodity analyst or trader who writes the reports. It's suggested not to rely on the reports for recommendations, but it is good to know what traders are thinking. Many futures clearing firms provide proprietary reports for their clients. There are also some good newsletters that you can read daily. There are also some good free reports you can find online. 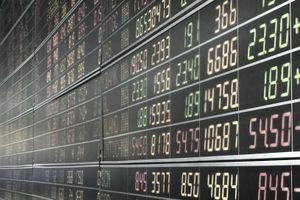 FuturesBuzz.com has a good selection of commodity reports from several analysts. Commodity traders can also check the daily news before the open of the markets and after the close to give them an idea as to why a market is moving. Bloomberg offers good commodities news throughout the day. When trading or investing in commodity markets, there are many levels of research to consider. A robust approach to gathering data on these markets always includes both a technical and a fundamental approach. Fundamental analysis provides insight into the supply and demand structure of each commodity market. Understanding the total amount of production of a commodity together will inventories or stockpiles and comparing it to consumption is necessary to establish whether a glut or deficit exists in a raw material market. If an excess exists, the price of the commodity tends to move lower, and if a shortfall condition is present, the path of least resistance for the price is usually higher. There is a myriad of data sources available, free of charge for investors and traders who wish to analyze markets. In energy markets, the Energy Information Administration and American Petroleum Institute provide weekly and periodic data on consumption and production of crude oil, natural gas, and other energy commodities. In the agricultural sector, the U.S. Department of Agriculture issues weekly and periodic reports including the monthly World Agricultural Supply and Demand Estimates report. In other commodities, trade associations and government data is available for those who take the time and effort to compare output and inventory versus demand. Fundamentals often provide a reliable picture of the current and future state of commodity prices and whether they are more likely to move higher or lower over time. While fundamental research requires time, effort and the compilation of data from different sources, technical analysis only requires one pictorial, a price chart. Understanding the historical price pattern of a commodity is a terrific way to understand past behavior. In the world of commodities, history tends to repeat itself. Therefore, a market participant with a keen eye and understanding of statistics and technical studies can look at a price chart and make educated guesses on the future direction of price. Since all market participants look at the same historical data, they often come to similar conclusions. When a bullish or bearish pattern develops on a price chart, technicians often act in the same way either buying or selling based on the chart formation. Chart interpretation often results in a self-fulfilling prophecy for prices as herd behavior often has tremendous influence over prices. A combined approach to commodity research tends to offer optimal results. Fundamental and technical analysis used together amounts to covering many bases when it comes to understanding the present state of a market and predicting future price behavior for that market. It is important to keep in mind that knowledge of macroeconomic factors also plays an important role in the direction of raw material prices. As commodities tend to be highly volatile assets, unexpected events can always throw a monkey wrench into even the most robust analysis. It is that volatility that attracts speculators, traders and investors alike. Price volatility creates the opportunity for profits but at the same time makes the raw material markets dangerous from a risk perspective.